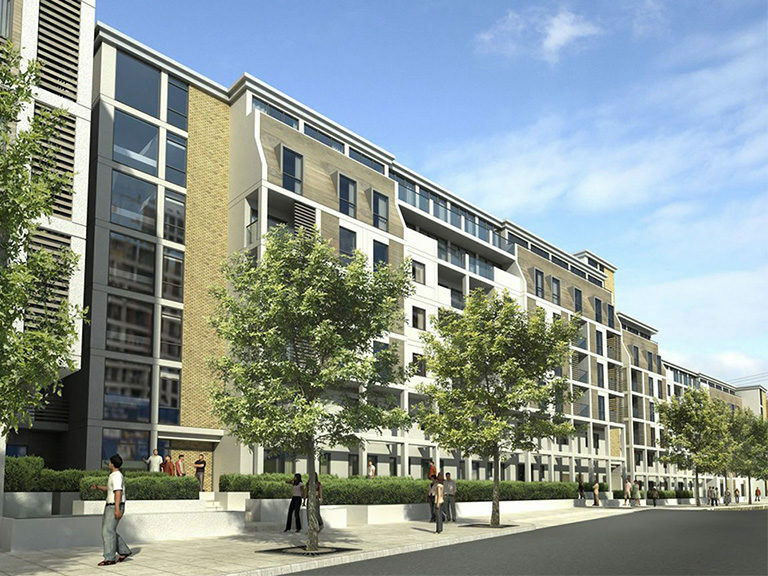 Kingston Heights - Banagher Precast Concrete Ltd.
Kingston Heights is a £70million mixed use development in the Royal Borough of Kingston upon Thames in South West London for NHP Developments consisting of 136 residential units and a 150 bedroom hotel. The technically challenging part of this project was to encapsulate a UK Power Networks substation first within a steel-lined concrete ‘box’ approximately 200 metres high by 38 metres wide and 4 storeys high. 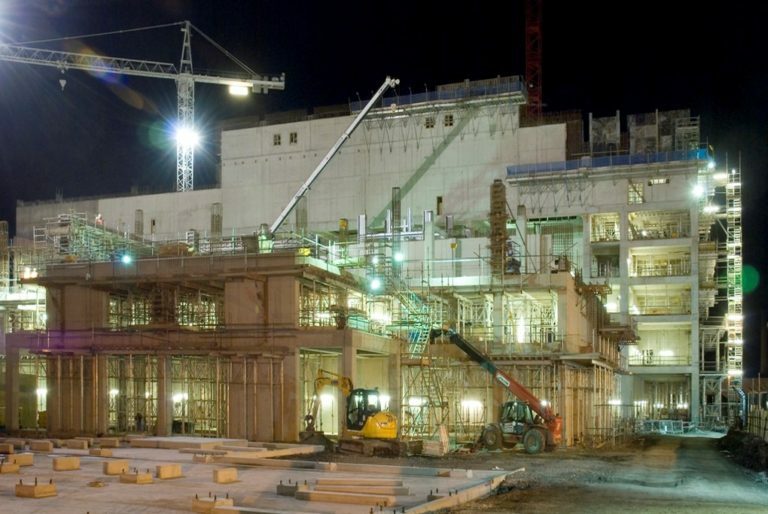 The enclosure was constructed using precast concrete columns, panels and 50 Banagher W Beams and required a 1,200 tonne mobile crane to lift the beams that formed the podium deck into position, the W Beams averaged a length of 34 metres, with a depth of 1.7 metres and each weighing 70 tonnes. The works were meticulously planned in key stages around pre-arranged transformer outage times to ensure there is an uninterrupted supply to 100,000 UK Power Networks customers and completion before deadlines. 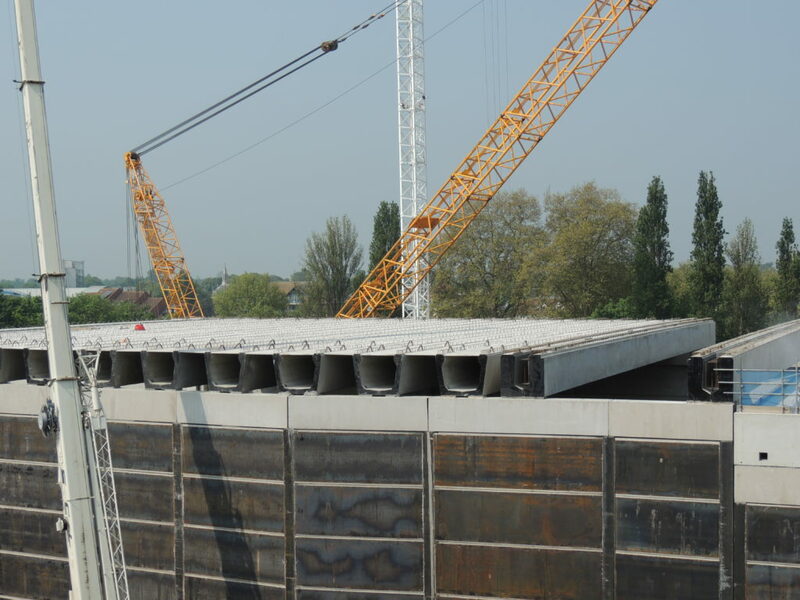 The original design had the main spanning elements as 1.5 metres deep structural steel girders, our precast bridge beam option solved many inherent design obstacles including fire resistance, blast resistance, durability and maintenance requirements. Coupled with a more cost effective solution which could be installed during outages in one clear span section gave the client and UK power networks the confidence to use our system. The first stage of this project was essentially a large civil engineering project -the beams used to span the 35 metres over the transformers are the same beams we use on road and rail structures throughout Ireland and the UK. The final loading on the deck is 3 storeys of apartments which is broadly equivalent to full traffic/train loading. 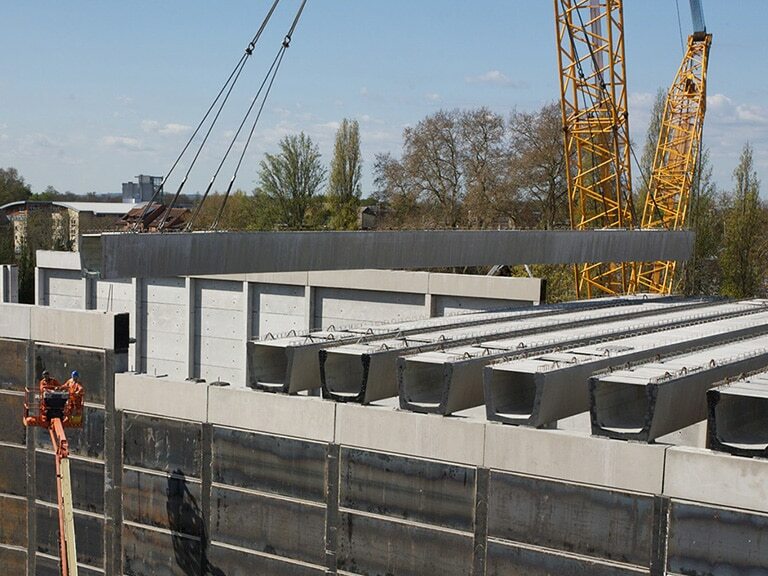 The project is an excellent example of how long span concrete bridge beams can be delivered and installed to a city centre location and meet all the challenging design criteria for a complex structure. The W beams sit on designed elastomeric bearing pads, the deck slab is formed with fibre and GFRP rod reinforced concrete slabs which form a permanent shutter to the insitu slab as per bridge deck design. Other unique design features include the Super Y Edge Beams stitched together using insitu concrete diaphragms to give clear spans of 35 metres in one direction and heavy duty prestressed wideslab giving 8 metre clear span in the other direction. The structure is made up entirely of precast comprising over 1000 elements from columns, wall panels and beams including two 25 metre high large box section vent shafts. This project was finished on time and within budget to the satisfaction of all parties.